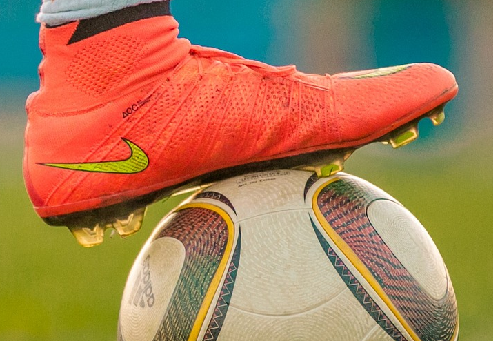 Choosing the right soccer cleats for a kid or junior can sometimes be an almost scientific task. You will definitely consider different features, materials available, different grounds and all other important factors. (our guide “how to choose soccer cleats for kids and adults” is here) But what do kids think about it? Which one do they consider to be the best youth soccer cleats? We spoke with a lot of junior soccer players and their parents during our visits to different clubs, training sessions, and matches. We always ask them two basic questions when talking about the equipment. The first question is “what soccer cleats do you currently wear?”. The second one is “what soccer cleats do you wish to wear?”. There is no better way to find out what are the best youth soccer cleats. First of all, we need to make a short statement here. It is really hard to find a clear winner. You will hardly find a definite answer to “who is better? Ronaldo or Messi”, and the same can be applied to soccer cleats. Kids who prefer Ronaldo or Neymar will want to play in Nike soccer cleats, ones who like Messi will always choose Adidas cleats. Therefore we are not making the ranking. We will just put here two soccer cleats, which were most wished by kids and one soccer cleats, the choice of parents. You decide if you like more Nike Jr. Mercurial Superfly VI Academy or Adidas Kids Nemezis Messi 18.3 or Vizari Stealth soccer cleats. Nike Jr. Mercurial Superfly VI Academy is youth version of popular senior soccer cleats. They were most wished Nike soccer cleats between junior players we spoke with. Mercurial Superfly VI Academy soccer cleats feature a low collar which wraps your ankle and gives you additional comfort. They are made of textile and synthetic combination, with micro-texture on the upper for permanent better touch. MG – Multi-Ground traction plate, with a mixture of two different studs types, can be used on natural or artificial grass. Kids who like Messi have an easy choice. Adidas Nemeziz Messi 18.3 soccer cleats were the most wished Adidas cleats between youth players we spoke with. Adidas Nemeziz Messi 18.3 soccer cleats have soft synthetic upper for increased comfort and dual lock collar for better ankle stability. They are equipped with lightweight Messi Gambetrax outsole for fast and easy movement. They are available in three color versions. However, no surprises, the red-blue Barcelona combination is the most popular. Vizari Stealth FG soccer shoes are the most wished cleats by parents. California based Vizari Sports company is soccer footwear and equipment producer. Vizari is not as old and as big as Nike or Adidas, but the brand has a solid reputation. Soccer moms appreciate mainly Vizari cleats pricing. You will hardly find Vizari youth soccer shoes with a price tag over $30. However, it does not mean they are inferior quality. They are durable, made from synthetic with strong lining. Vizari Stealth soccer shoes have padded heel additional comfort and outsole with rubber studs. We think that Vizari Stealth is probably the best choice when your kid is starting with a soccer or is growing up quickly. Vizari Stealth FG cleats are available in 6 different colors and they are suitable for firm grounds (FG).